Caulk Wight - allium sativum ophioscorodon. 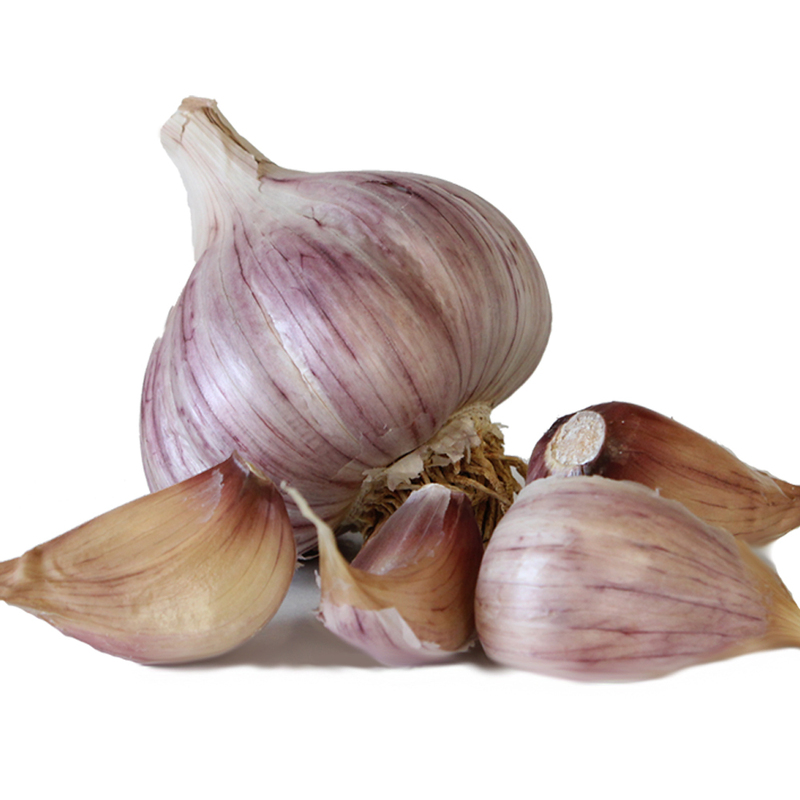 Selected from the best purple stripe garlic found in Russia and Eastern Europe. Large cloved, easy peeling vigorous hardnecks, they grow particularly well in our relatively soft UK climate, north or south, but can withstand temperatures down to -20C. Above ground it has a distinctive, dark green, vigorous wide leaf pattern and underground, the bulb is enclosed in tight leaf wrappers avoiding the pitfall of many hardneck types in our damp climate, of splitting and opening out. Planting in the autumn up till January produces tight, firm bulbs, ready at the end of June. They can be dried after harvest in the open sun, verandah or glasshouse, their outer leaves slipping away to reveal the most beautiful marbled purple stripe bulbs. Chef's tip: Try a peeled clove, cut into four slices, rolled in pancetta and you will discover the best garlic you've ever tasted. Try it with friends, cleaning the palate with a shot glass of cold vodka between slices. The result is unexpected as the vodka carries this unique garlic into your bloodstream. You will find a hidden energy. Go for it!